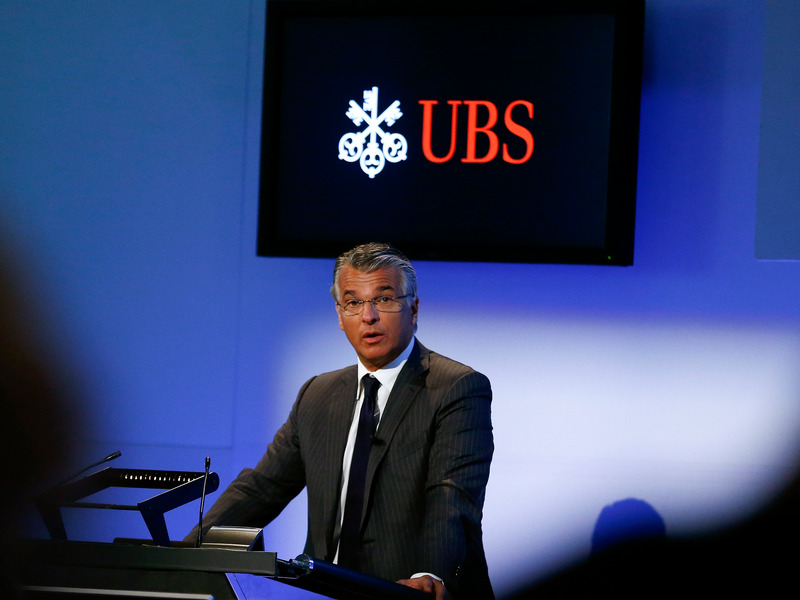 UBS is looking to add 500 robots and reduce manual processes by 10% in 2019, Chris Gelvin, the firm's head of group operations, said at a media roundtable on Tuesday. Since 2016, the bank has gone from 50 robots to 1,000. The Swiss bank has plans to add roughly 500 robots this year with the hopes of reducing manual processes by 10%, UBS' head of operations Chris Gelvin said at a media roundtable on Tuesday. The bank currently operates 1,000 robots, the majority of which sit in its operations department. Potential use cases for bots also include handling mountains of paperwork from corporate actions and onboarding, which includes know-your-customer processes which are very manually intensive, Gelvin said. "We're really trying to find places where you take the best of a human and the best of a machine and bring those things together," Gelvin said. "Machines are really good at working through huge amounts of data...analyzing that... finding patterns and correlations. Humans are really good at interpreting the result and coming up with the best solution for our clients and providing the right service. So, really creating the super-human ops people with the power of these analytics is what we're trying to do." In a short time, the Swiss bank has quickly built up its team of robots. UBS first launched its robotics initiative in 2016 with only 50 robots. Last year the bank added 500 robots, but also decommissioned 100 of them. Gelvin said it's natural for the bank to sometimes shut down robots when process they were performing are no longer required. It's hard to quantify the financial benefits of implementing robots, Gelvin said. However, decreasing the need for analysts to double-check each other's work and increasing turnaround time and accuracy are improvements that can be seen through the use of bots. The use of robotics for automation is often considered a way for firms to reduce headcount. Gelvin said that's not a motivator of the bank. Roughly 350 UBS employees have been trained on the robotics to design and build them and 2,000 have taken introductory training on the topic. "We need to make sure our people are focused on the most complicated problems, because that is what our clients expect," Gelvin said. "Frankly, with the increase in trading volumes, increasing demand of clients, it is getting harder and harder to keep up. ... If we don't have some of these technologies in place, it's going to be very hard for us to keep up if we kept things status quo."